Kungfu Tiger Pro is coming for Dragon Year! More optimization, more animation (9 animation Kungfu scenes), and yes, talking function embed, will talking like you do! 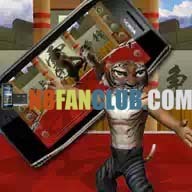 The hottest application, if you are an Chinese Kungfu fans OK, this one is the best! 4. Classic Kungfu scenes, absolutely cool and attractive!